For the fan of the signature adidas look, there's the adicross Classic spikeless golf shoe. Water-resistant synthetic leather uppers with climastorm protection keeps you playing in any weather. Lightweight cushioning underfoot provides comfort with every step. The flexible adiwear spikeless outsole offers the grip you need on the golf course with the versatility to wear them anywhere. 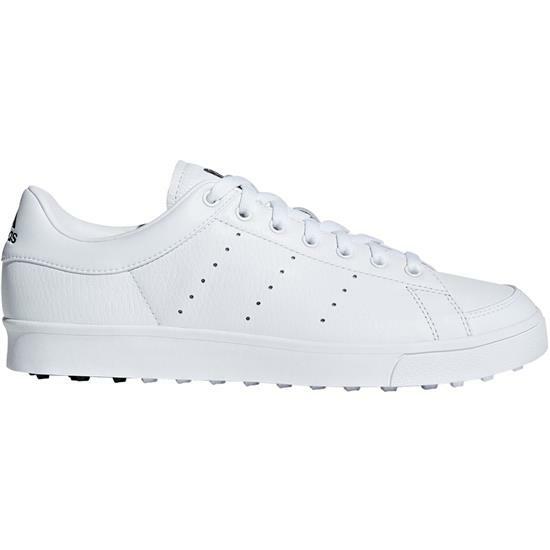 You are about to post a review for Adidas Men's Adicross Classic Golf Shoes based on your knowledge of its playability. This review will show up under all variations of Adidas Men's Adicross Classic Golf Shoes, including new, personalized, and custom logo.